So because I have to make up FOUR posts now in the next three days (why can’t November have 31 days), that makes SEVEN posts I have to do, you’re going to get at least two today. On Friday, Darren’s mom called and said they would pay for the Poptart’s next carseat. On Monday, I went to Baby’s World to try some out. She, of course, takes after her mother and likes one of the more expensive ones. On Tuesday, the Poptart had her 6 month Doctor appointment where she got her regular vaccines and the first part of the baconic plague vaccine. She has to go back in three weeks for the next part. She weathered them like a champ. She was 28 inches long and 19 lbs. I’d been noticing that she’d gotten heavier and her bucket car seat was getting very difficult to carry. And she just didn’t look comfortable in her carseat any more. Yesterday, I called Baby’s World and put a hold on the carseat. 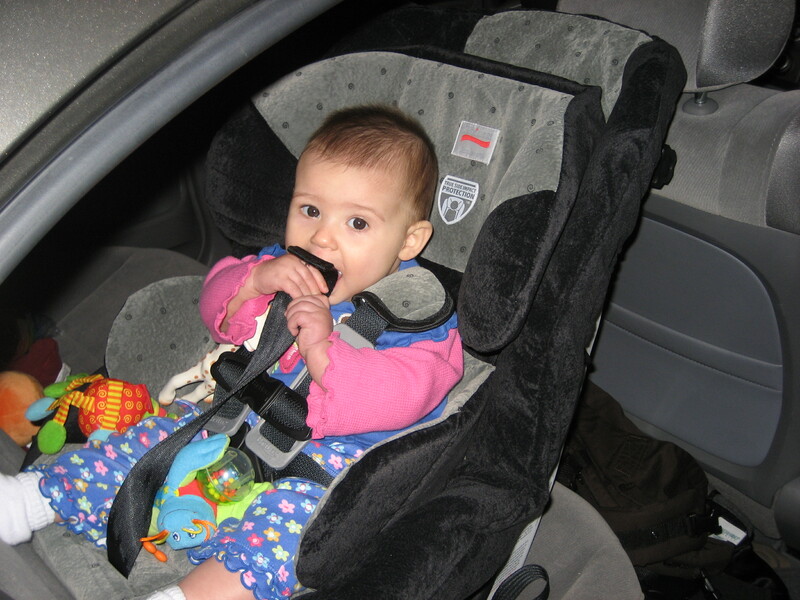 Later today, the Poptart will take the last ride in her bucket carseat. We will retire the two bases and find a place to store them. And we Darren will install the new carseat in the car. At 11am I’m meeting Amber at Baby’s World. I’m apologizing in advance if I end up crying on her.